Perfect birthday party ideas for boy, girl or your baby shower decoration packWhat you will get:5 different double-printed cutouts and 15 assorted foil whirls decorationSuggested Uses: Carnival First Birthday Circus Animal Party Circo Party Impress guests with your decorations and create a happy, memorable birthday for your little child. Click "Add to Cart" right now to order your perfect party today! Includes (1) themed stand. Cardboard;Measures Approx 36" x 30" x 15" . Some assembly required. Plan your own carnival-themed party with these circus and carnival-themed party designs. These whimsical party designs will liven up any room or party. 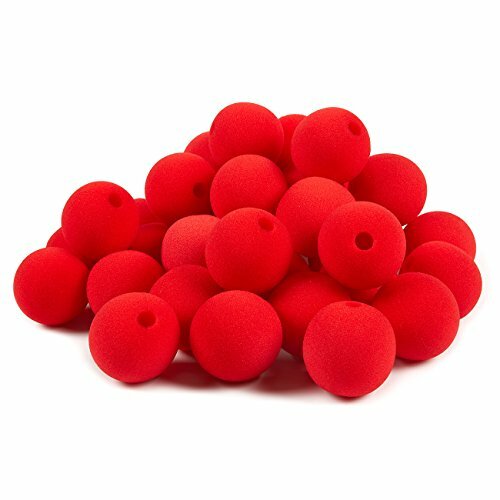 As versatile as they are easy to assemble, simply stick them on windows and walls or hang them from the ceiling with rope and string (not included). Transform any space into an instant party. a 14-piece Circus Clown Birthday balloon decorating kit! Such cute balloons to help you decorate your party! You will receive with this kit: One (1) 33" XL Juggles The Clown Head mylar shape balloon. Two (2) 18" Happy Birthday Circus Big Top round mylar balloon. Two (2) 18" Happy Birthday Gift Package mylar shape balloons. Nine (9) Coordinating 11" Latex balloons...3 Kiwi Green Happy Birthday print, 3 solid orange and 3 solid red. All balloons are new and shipped uninflated. Just add helium! 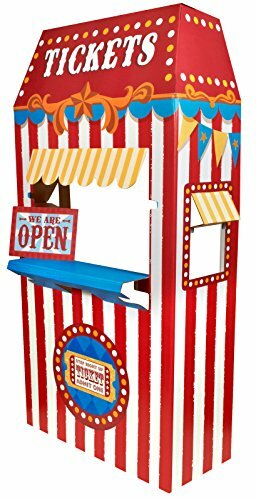 Our Circus Carnival Party Game is everyone's ticket to fun! This circus themed party activity comes with 1 plastic game sheet to hang on your wall, 1 paper blindfold, and 20 peanut game pieces. Use the circus game sheet as a cute party decoration for your child's carnival birthday party until it's time to play. Then, line everyone up to take turns one-by-one trying to stick their peanut next to the elephant's nose while wearing the blindfold. For an even bigger challenge, give each guest a little spin before they go! Make your party a big success with more of our fun and affordable carnival party supplies. 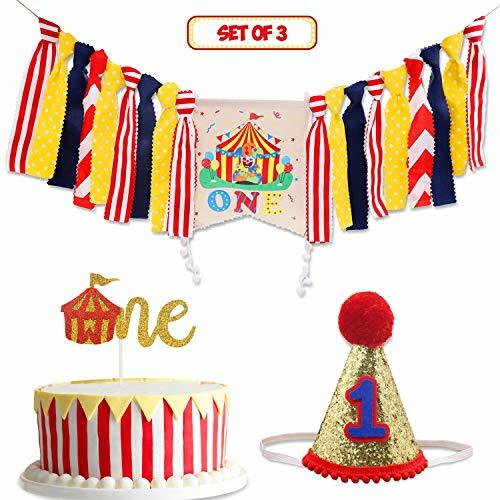 With this kit you will receive: (1) 31" Circus Tiger Foil Balloon, (1) 32" Circus Seal Foil Balloon, (1) 36" Big Top Circus Lion Tent Foil Balloon, (1) 36" Circus Elephant Foil Balloon, (1) 18" Birthday Present Balloon, (2) 18" Square Circus Theme Foil Balloons and (5) 11" Assorted Latex balloons. Just add Helium and ENJOY! 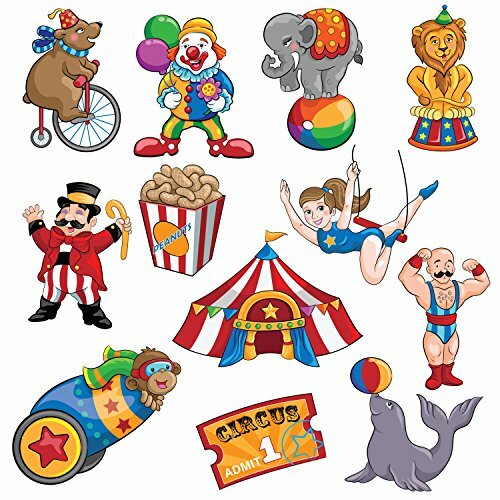 324 Count: Circus Party Candy Stickers to use as part of your Big Top Carnival Party Supplies. (Candy Not Included).3 sticker sheets included - total of 324 small, round sticker labels. Labels fit perfectly on the bottom of Hershey’s Kisses, 0.75in in diameter each. Also fit perfectly on the bottom of Reese’s Cups Miniatures, Rolo Chewy Caramel Minis, and on Individually Wrapped Lifesaver Mints. 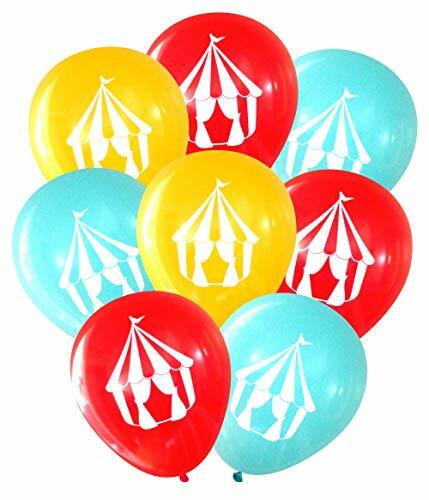 Use to make circus theme birthday party favors as part of your circus or carnival birthday party decorations. Designs are laser printed on these labels - no ink smudging, no mess. Labels are easy to peel from sticker sheet - high quality. 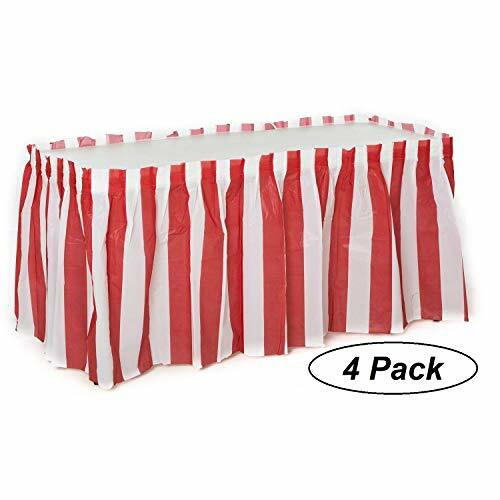 Unique DISTINCTIVS Big Top circus party supplies design. Featuring clown, circus animals, and big top designs. These stickers also work great as envelope seals for your circus or carnival party invitations or thank you cards. Candy is Not Included. 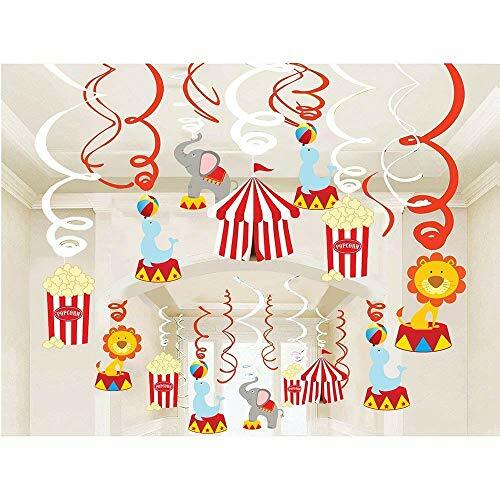 With this kit you will receive: (1) 36" Circus Elephant, (1) 36" Big Top Circus Lion Tent Foil Balloon, (1) 18" Birthday Present Balloon, (2) 18" Square Circus Theme Foil Balloons and (5) 11" Assorted Latex balloons. Just add Helium and ENJOY! These cutouts are a great addition to round out your party theme. Place these cut outs around your house, on the walls, mirrors, tables or wherever! These circus street signs cutouts are perfect for any circus party or birthday theme you may have planned! These are great on their own, and are even better with the other decorations, costumes, and accessories available in our store!